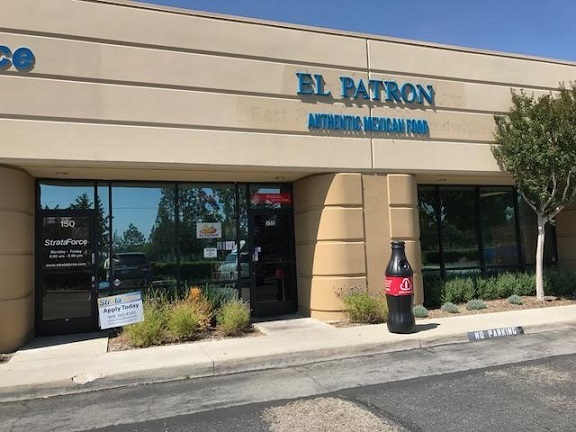 El Patron has spawned a second location, El Patron II, in La Verne. I tried to eat there recently but unfortunately chose a Monday, the only day it’s closed. A few days later, I went to the older one in Rancho Cucamonga. Who can judge the sequel without having seen the original? I took a seat, examined the menu and was delivered chips and salsa. I asked the server about the specialties and he pointed to menu items 6 (chile relleno, taco or enchilada) and 7 (chile relleno, taco AND enchilada). I went for No. 6 ($10), with a hard shell shredded beef taco. This proved to be a great choice. 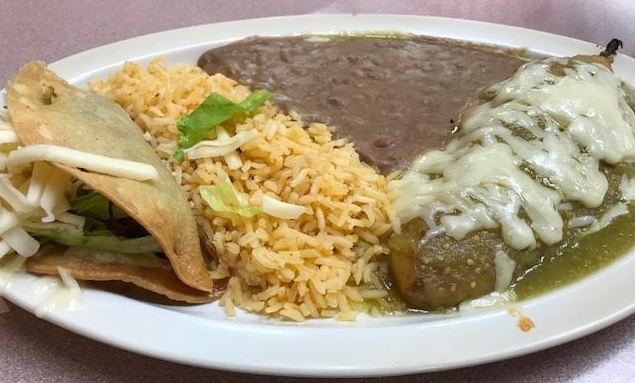 While I’m not a big fan of chile rellenos, this was a good one, smothered in green sauce, and the taco was freshly fried, something you don’t see all that often. It made me think of Ramon’s Cactus Patch and the Mitla Cafe. I could see El Patron becoming an occasional lunch stop for me as it’s not that far from our office and the food is very good, with friendly but low-key service. Now I feel prepared for El Patron II. 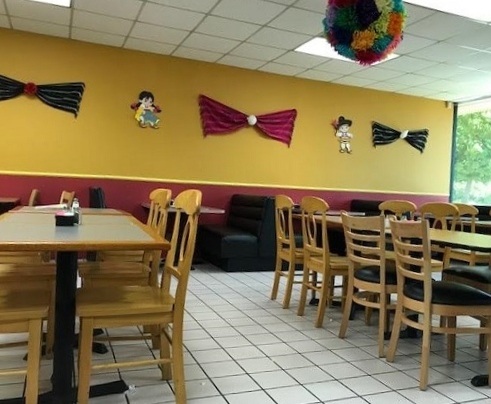 By the way, readers say the same family runs Los Jarritos in Pomona. 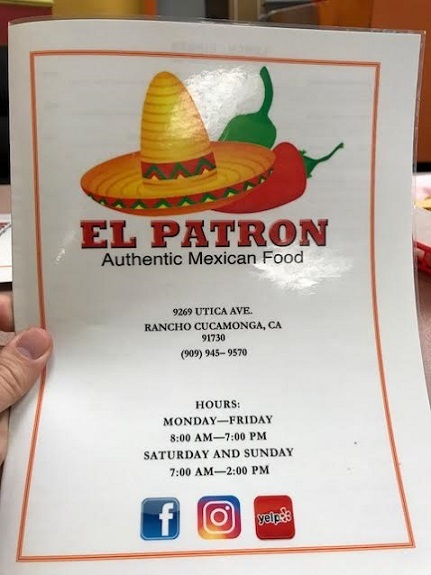 This entry was posted in Restaurants: Rancho Cucamonga and tagged Mexican, Rancho Cucamonga, restaurants by David Allen. Bookmark the permalink. Tried this place for lunch today, on your recommendation. I thought the green sauce on the Chili Relleno reminded me of Los Jarritos (Pomona). Then the same with the salsa and chips – so I asked. Turns out they are the same family. So I ordered my favorite – combination burrito enchilada style with green sauce. Sure enough, we have a Los Jarritos in Rancho. Yay! David, thanks for the heads-up on this restaurant. Really enjoyed their food. I brought him a copy of your blog entry because I originally told him it was in your colum. I read it online. Oh, thanks for doing that. I ate there yesterday for lunch, again anonymously, and had a wet burrito, very Los Jarritos-like.